No one deserves to be neglected. 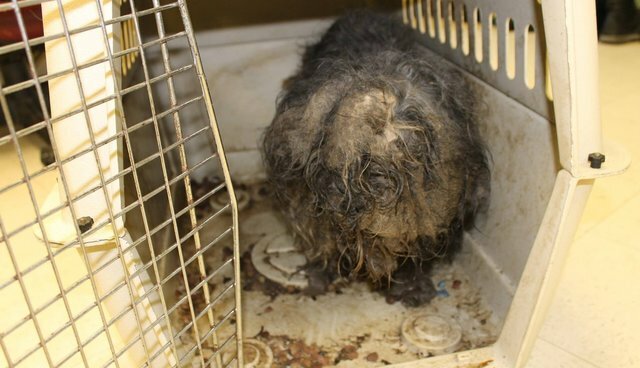 And a blind shih tzu, dumped on a doorstep so heavily matted that rescuers couldn't tell her head from her tail-end, has had enough neglect for a lifetime. "She smelled like a wet mop; who knows how long she was wet like that?" Sarah Siperstein, director of the Jasper County Animal Rescue League in Iowa, told the Newton Daily News. 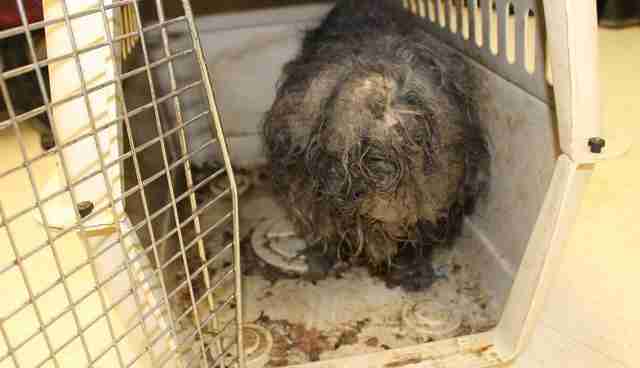 The dog was dropped off on the doorstep of the rescue league in a carrier caked with moldy dog food. According to Siperstein, groomers found a roach egg in the dog's fur, as well as gads of flea bites. "She was really stressed out," Siperstein said. 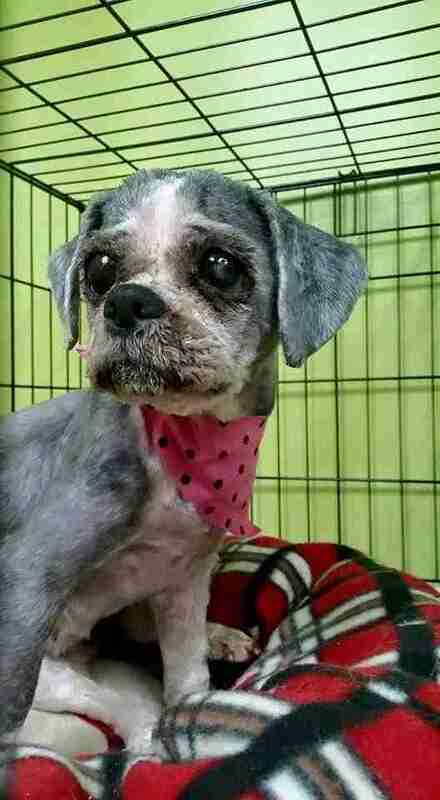 Still scared from her ordeal, the poor pup was taken to the groomer ASAP to get cleaned up. Slowly but surely, the dog some anonymous person had essentially thrown away transformed into a clean and beautiful animal with shiny gray and white fur. And the tender loving care paid off. At 10 years old, the dog has a new lease on life, with a new loving family. 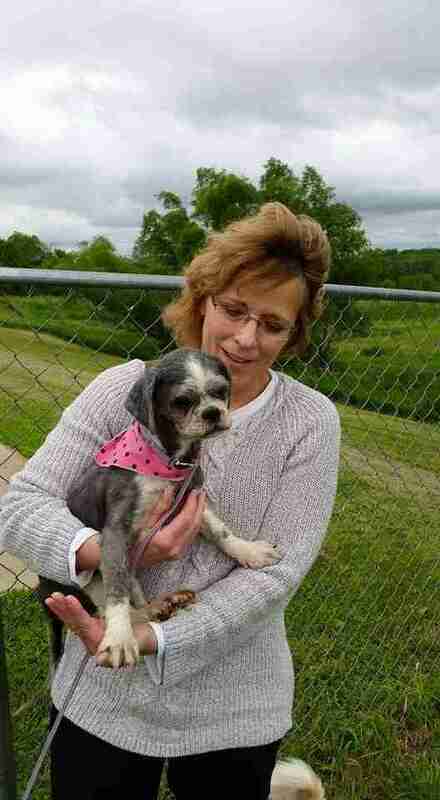 "She went to a loving home that has older shih tzus and even one that has lost its sight," Corissa Mapes, of Jasper County Animal Rescue League and Humane Society, told The Dodo. We're so glad this beautiful dog has gone from mop to a member of the family.